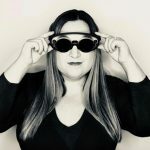 Cathy Hackl is an Emmy-nominated communicator turned virtual reality & augmented reality global speaker, producer, and futurist. Hackl has been featured in media outlets like Mic, CNN, Silicon Beat, Entrepreneur, CMO.com, Forbes, VentureBeat, and Mashable. 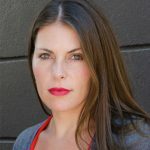 She is a global advisor for VR AR Association and a leading voice in the VR AR marketing space. Andrea Guendelman is the founder and force behind BeVisible, the first career social media platform for Latinx. 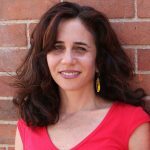 Andrea founded BeVisible after her own experiences as a Harvard-trained corporate lawyer and an entrepreneur. Andrea is considered a thought leader in the topics of Latinx career building and creating diverse workforces. Rachel Cook is the founder and CEO of Seeds, the easiest way to ask the blockchain for help and receive it as a monetary gift – no strings attached. Rachel wants to transcend the broken parts of capitalism, rendering the gatekeepers obsolete. 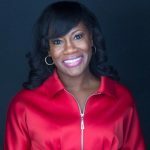 Kimberly Seals Allers is an award-winning journalist, author of five books, international speaker, strategist, and advocate for maternal and infant health. 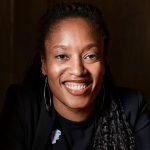 A former senior editor at Essence and writer at Fortune magazine, Kimberly is a leading commentator on birth, breastfeeding and motherhood and the intersection of race, policy, and culture. Mara Liasson is the national political correspondent for NPR. Her reports can be heard regularly on NPR’s award-winning newsmagazines Morning Edition and All Things Considered. Liasson provides extensive coverage of politics and policy from Washington, DC — focusing on the White House and Congress — and also reports on political trends beyond the Beltway. Each election year, Liasson provides key coverage of the candidates and issues in both presidential and congressional races. During her tenure she has covered six presidential elections — in 1992, 1996, 2000, 2004, 2008, and 2012. Prior to her current assignment, Liasson was NPR’s White House correspondent for all eight years of the Clinton administration. She has won the White House Correspondents Association’s Merriman Smith Award for daily news coverage in 1994, 1995, and again in 1997. From 1989-1992 Liasson was NPR’s congressional correspondent. Liasson joined NPR in 1985 as a general assignment reporter and newscaster. From September 1988 to June 1989 she took a leave of absence from NPR to attend Columbia University in New York as a recipient of a Knight-Bagehot Fellowship in Economics and Business Journalism. Prior to joining NPR, Liasson was a freelance radio and television reporter in San Francisco. She was also managing editor and anchor of California Edition, a California Public Radio nightly news program, and a print journalist for The Vineyard Gazette in Martha’s Vineyard, Mass. Liasson is a graduate of Brown University where she earned a bachelor’s degree in American history. 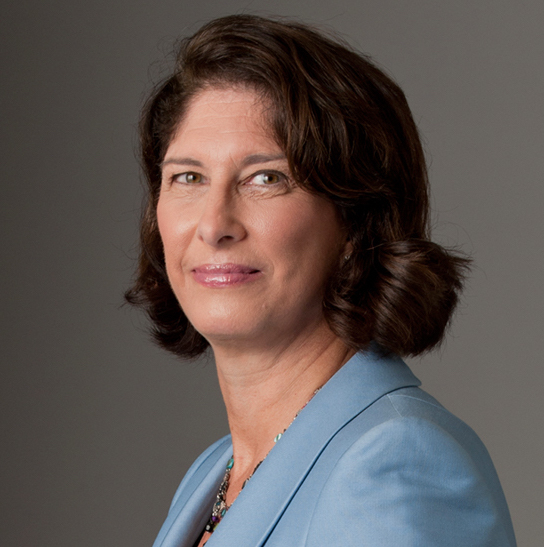 Political speaker Mara Liasson gives audiences an insider’s perspective on the changing face of American politics, as seen through the lens of one of the most renowned and experienced reporters in the nation’s capital. In this eye-opening presentation, she also shares how she gets to the source of what’s happening behind-the-scenes, how well the American public is being served by today’s media and political environment, and what beyond-the-beltway trends we are likely to encounter in the future. When it comes to politics and elections, Mara Liasson is of the most trusted voices in political journalism. In her positions as Political Contributor for Fox News, National Political Correspondent for NPR and the host of several award-winning newsmagazines, Liasson wields the experience needed to provide audiences with a solid understanding of the issues. Serving as White House correspondent during the Clinton Administration and covering every presidential election from 1992 to 2012 for NPR, Liasson delivers a candid perspective on how the media will impact the politics and policy issues facing the country today. Yesterday, Saudi held a mass execution, beheaded a US-bound university student who was 17 at the time of arrest, & displayed the dead bodies. A Korean lawmaker Chae got stuck in his office today by other party lawmakers so he had to have his emergency press conference throughout a windowpane. The third Article of Impeachment against Richard Nixon charged him with failing "without lawful cause or excuse to produce papers and things as directed by duly authorized subpoenas issued by the Committee on the Judiciary of the House of Representatives." As we wrote earlier this month, Bernie Sanders still gets treated more as an insurgent rather than a frontrunner -- which is a real benefit for him after saying this last night. My mistake! Up too early ( that's an explanation not an excuse)NPR has corrected.